The technological boom has caused many data centers to adopt the latest trends from big data to Internet of things without assessing the requirements—often stressing out the network and storage infrastructure. Traditional business intelligence (BI) projects and big data projects are founded with different needs and understandings. Business intelligence starts by answering some questions about the type of data available and to be collected, and the results that to be reported. Such questions are the foundation of the modern IT. Unlike BI, big data and Internet of things (IoT) ask questions like what problems should be addressed, which new products must be made available to retain current customers while enticing new customers to purchase products and services? The introduction of new technologies and approaches to IT causes an adoption rush without understanding the requirements to have a successful implementation. This can result in heavy investments that yields lower rate of success. Such failure can be caused by inappropriate selection of tools, incorrect configurations, and lack of professional expertise. Organizations often blame the approach or technology for this unsuccessful implementation. 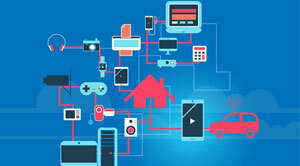 The potential of big data and IoT has been hyped throughout the IT industry, with the promise to connect everything between mobile phones to household appliances. Hence, we can notice the suppliers of hardware, software, and professional services innovating to get their share of the potential revenue. Many suppliers for networking, data management tools, and development tools are creating new products with big data product and service sets. The senior management of an organization must assess the business needs and the IT team’s capabilities before working on IoT and big data projects. Big data projects are typically built to determine which questions to ask, rather than to address specific, previously known requirements. This means decision makers and developers must first want to determine the right questions to ask based on operational, machine and other types of data already being collected; it's possible no one has taken the time to analyze that data. An IoT project could become a source of data that would feed into a big data undertaking. Organizations have large amounts of raw data related to their own company through database management products, application frameworks, applications, and point-of-sale or point-of-service devices. Through IoT and big data analytics, organizations can use this information to gain a holistic awareness of the strengths and weaknesses of the current system. IT teams must develop a clear understanding of its goals, tools, and the suppliers to IoT to effective use. Each big data approach and IoT platforms have their own set of development and deployment tools. A company's development staff must understand and know how to use the tools and build an optimal system. Organizations must treat big data projects like business assets—having a constant operational oversight by the IT administrative staff. An IoT project requires lightweight, responsive monitoring and management as it directly interacts with the customers. If the tools are too complex, customers are going to complain about the user friendliness. Often the most important factor in the case of big data and IoT is that the goal should be learning to ask the right questions.